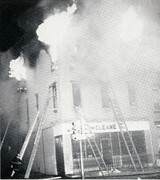 Back around 1984 a friend's uncle was a fireman in E225. He invited us to come ride on a 6x. I didn't know too much about the area being a young teenager. I do remember that E225 didn't turn a wheel the entire tour. Looking back now that must have been a very odd night, now knowing how busy they were in those years. 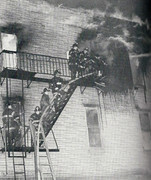 Ladder 175 was organized in 1970 in Ladder 107's former quarters. In the group photo of the members is that Chief James Leonard when he was a B.C.? Not as BC if Chief Leonard. 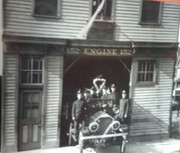 TL 107 is 2012 Seagrave and E225 appears to be a KME. In the WNYF article in reply # 903 above they mention 175's original Rig as a '63 Seagrave Reg # 4777 it was actually a '63 Seagrave Reg # 477 which was 108s former Rig....later 175s 2nd Rig was LAD*31s '68 ALF Tiller. In the WNYF article in reply # 970 above they mention 175's original Rig as a '63 Seagrave Reg # 4777 it was actually a '63 Seagrave Reg # 477 which was 108s former Rig....later 175s 2nd Rig was LAD*31s '68 ALF Tiller. ^^^^^^Excellent (as usual) mack ... Thanks for your time & effort. The WNYF article i was referencing was in reply 903 above. I didn't really look at the rigs. You and 68jk are correct. Good catch men! 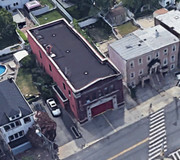 Engine 152/Battalion 21 firehouse 256 Hylan Blvd Rosebank, Staten Island Division 8, Battalion 21 "Eye of the Hurricane"
Rosebank was protected by 3 volunteer fire companies which were part of the Edgewater Fire Department which was organized in 1871. 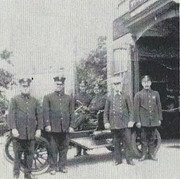 The Edgewater Fire Department had 14 volunteer companies in 1900 and covered Tompkinsville, Stapleton, Clifton, Grasmere, South Beach and Rosebank areas. 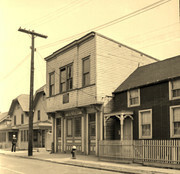 It disbanded in 1905 when FDNY expanded to the Borough of Richmond. 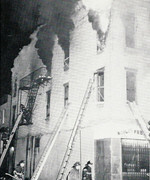 Battalion Chief Matthew J. Cummings, Battalion 21, suffered a fatal heart attack after returning to quarters from a ship fire on the City of Birmingham at Pier 4 fire where he inhaled poisonous gas. 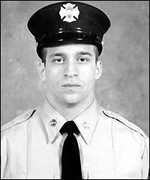 FF Robert Cordice lost his life in the terrorist attack on the World Trade Center.